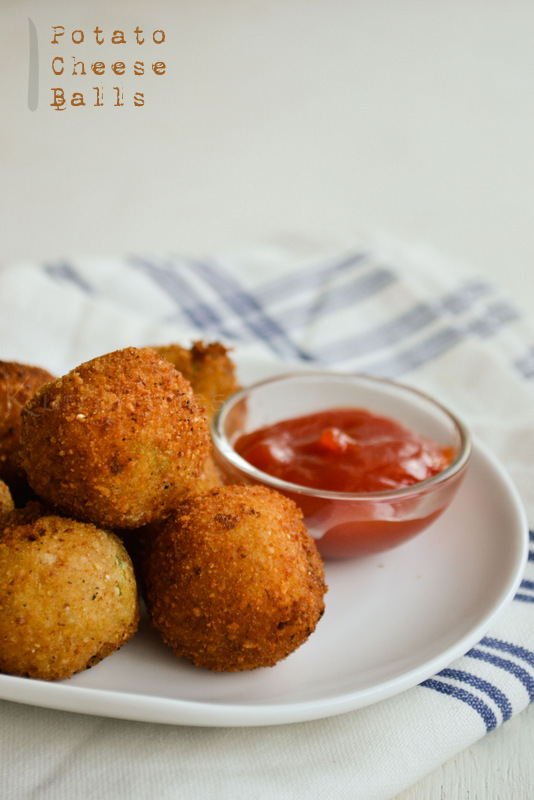 Quick and easy potato cheese balls,ready in less than 30 minutes. Recipe source: Yummytummy,you can find the original recipe here. Heat 1 tsp oil in a pan,add spring onion and frozen green peas( if using) and saute for a minute. Add tomato ketchup ,salt and black pepper powder to taste.Add mashed potatoes and mix well.Allow this to cool slightly and divide into equal portions( about 15 to 20). Take one portion of the potato mixture and place a cheese cube in the center and cover from all sides.Repeat with the remaining mixture. 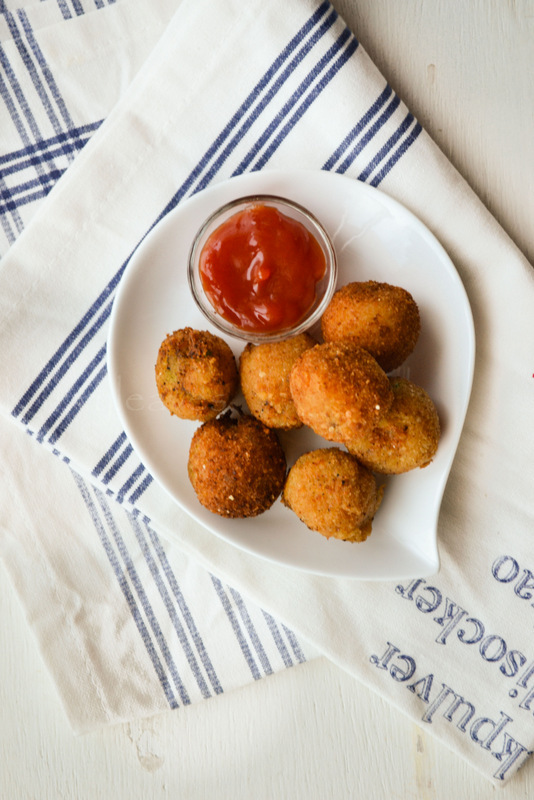 Dip the potato balls in cornflour batter and evenly coat it with breadcrumbs. Heat oil in a pan and deep fry the potato balls until it turns golden brown on all the sides. super yummy cheese balls. Feel like taking them out. Perfectly made cheese balls. lovely presentation too!! These look so good! I have some potatoes sitting in the fridge that I need to try this recipe with. Thanks! very crispy and irresistible they are. Hello there, is there a way to prepare them using oven instead of deep frying? Thanks.